It’s been quiet here lately as I was out of town for a 17 day trip across 10 states. Sure is nice to be home. Part of that time was spent in Kentucky – my first visit – visiting distilleries in Bardstown, Louisvile, and Lexington. I had a great time touring and tasting, and I brought home a few souvenirs of the trip, many of which are only available at the distilleries. 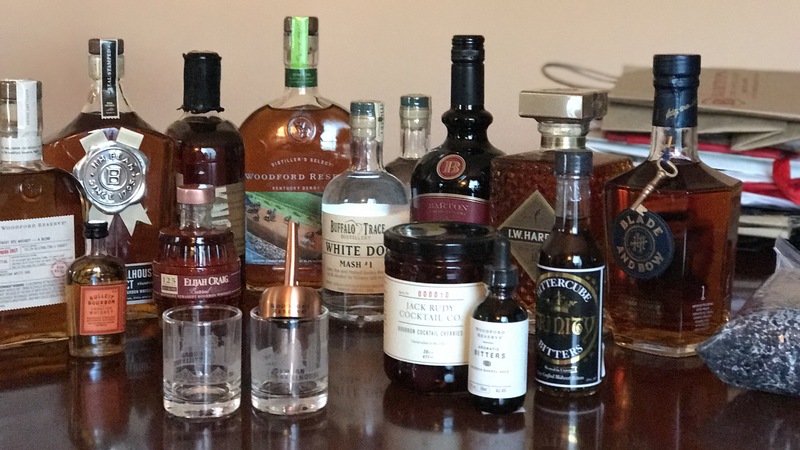 Back Row, Left to Right: Woodford Reserve Distillery Series Kentucky Rye Whiskey, Jim Beam Stillhouse Select Kentucky Straight Bourbon Whiskey, Knob Creek (additional details omitted for reasons), Woodford Reserve Distiller’s Select Kentucky Straight Bourbon Whiskey “Kentucky Derby 143” Label, Buffalo Trace White Dog (x2), Barton Bourbon Cream, I.W. Harper 15 Year Kentucky Straight Bourbon Whiskey, Blade and Bow Kentucky Straight Bourbon Whiskey. Front Row, Left to Right: Bulleit Bourbon (gift), Elijah Craig Barrel Select Kentucky Straight Bourbon Whiskey, a pair of tasting glasses from Jim Beam Urban Stillhouse in Louisville, Jack Rudy Cocktail Co. Bourbon Cocktail Cherries, Wordford Reserve Aromatic Bitters, Bittercube Trinity Bitters. In the background, you can see the pile of bags and other packing material it was in. Just to the right is a bag of “Barrel Char” from Barton Distillery, which is sold for adding to your grill for smoking food. I may try some in my electric smoker, however, I plan to use it in my tabletop aging barrel to try and help speed age some corn whiskey. I’ve heard that 3D printing is being used to change lives by allowing the inexpensive design and construction of prosthetic limbs. It’s especially useful for children, who will outgrow prosthetics multiple times during childhood, and those who may not otherwise be able to afford traditional prosthetics. 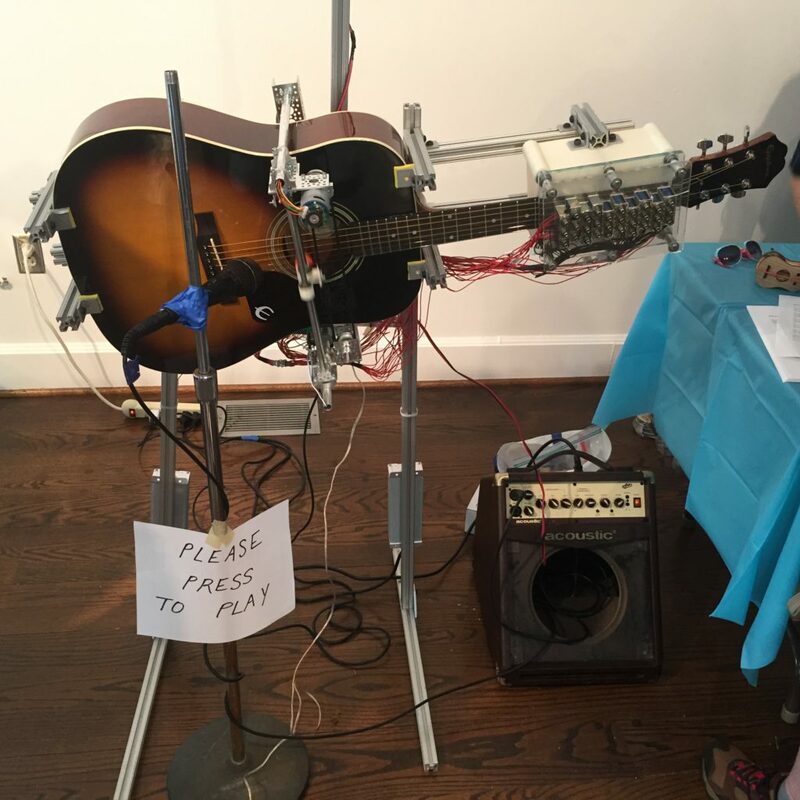 I even saw a 3D-printed prosthetic hand last weekend at Hagley Museum’s Maker Fest (see the 6th picture down). But I only learned today that anyone can produce one of these devices and send it to a person who needs it. The e-NABLE Community is a community of people who do just that, and help match those in need with those with printers. A couple of years ago, a group of 6th grade students in South Carolina decided to participate as part of a class project. They then took it a step further by issuing the Hand Challenge, to encourage anyone with a 3D printer to participate. The challenge is still going strong, and I’ve decided to participate. Since this will be my first one, I’ve ordered a starter kit with all of the non-printed hardware (nuts, bolts, velcro, etc). I plan to start printing parts in the next few days (modulo an upcoming 2 day trip), and I’ll be posting progress as I go. If you have a 3D printer, I encourage you to have a look. If you know anyone who could benefit from one of these devices, check out the community website; they can help match you with someone who can help. Living in Northern Delaware, we have a lot of museums in the area, many of which are former properties of the du Pont family. The Hagley Museum is one of those, and is “the site of the gunpowder works founded by E. I. du Pont in 1802. This example of early American industry includes restored mills, a workers’ community, and the ancestral home and gardens of the du Pont family.” 1. The museum has been a staple of area schools’ field trips for as long as I’ve been in Delaware. 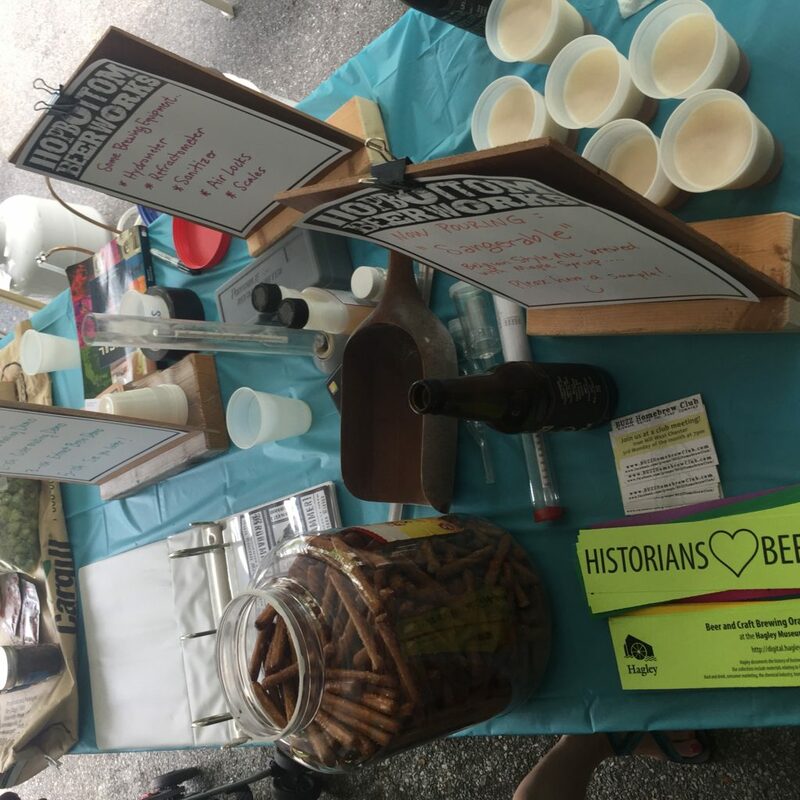 The connection to America’s industrial history makes it an idea location for a Maker Fest, which was held today. 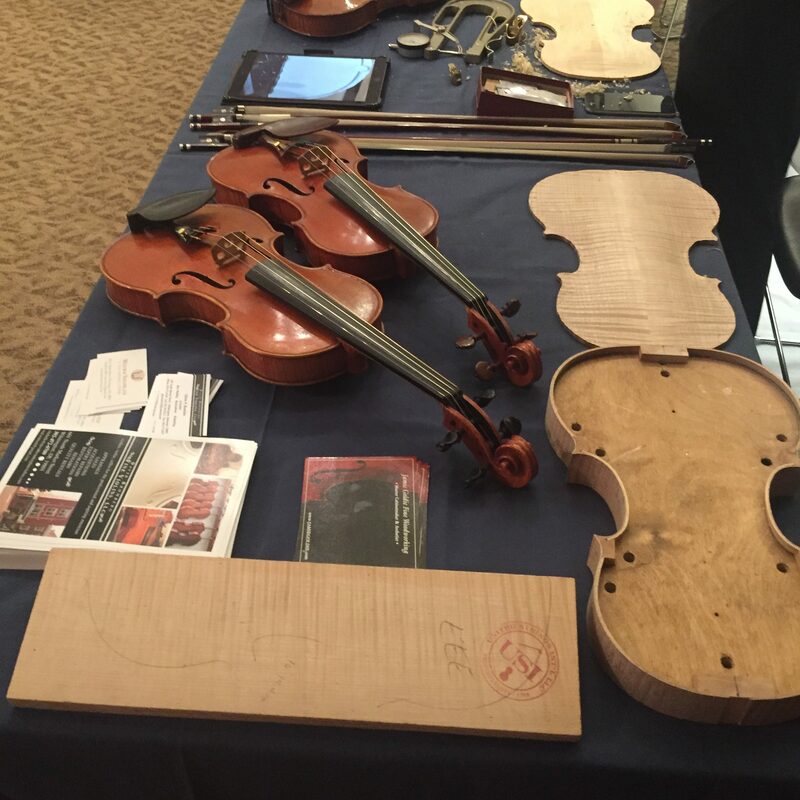 This was the first Maker Fest at Hagley, and turn out seemed pretty good. There were many Makers exhibiting, and lots of adults & kids on hand to take it all in. 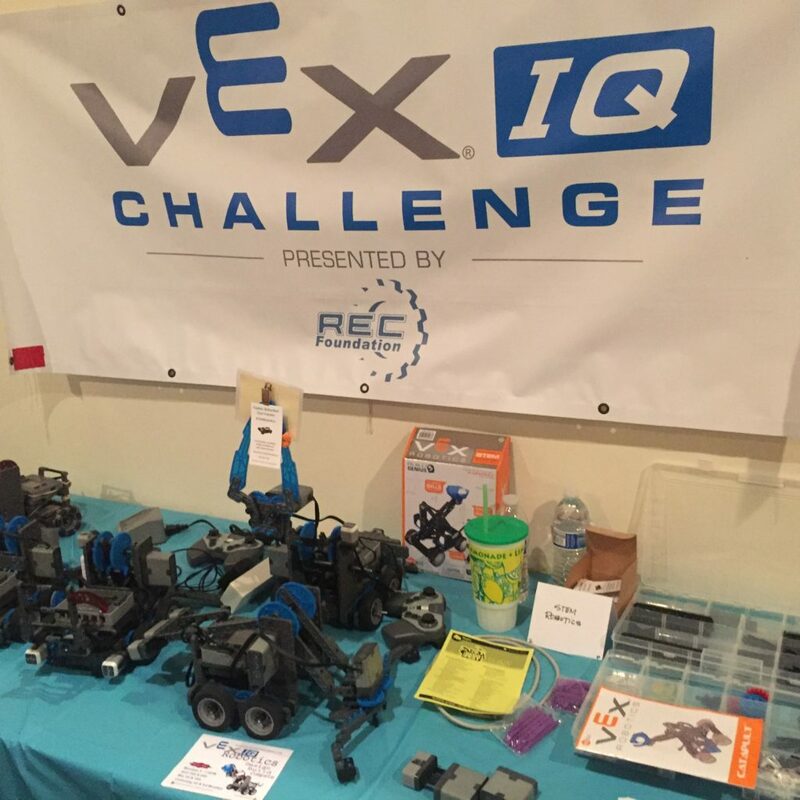 I was happy to see a big STEM education presence, with demo areas for VexIQ (Elementary/Middle School) and Vex Robotics (Middle/High School) programs. 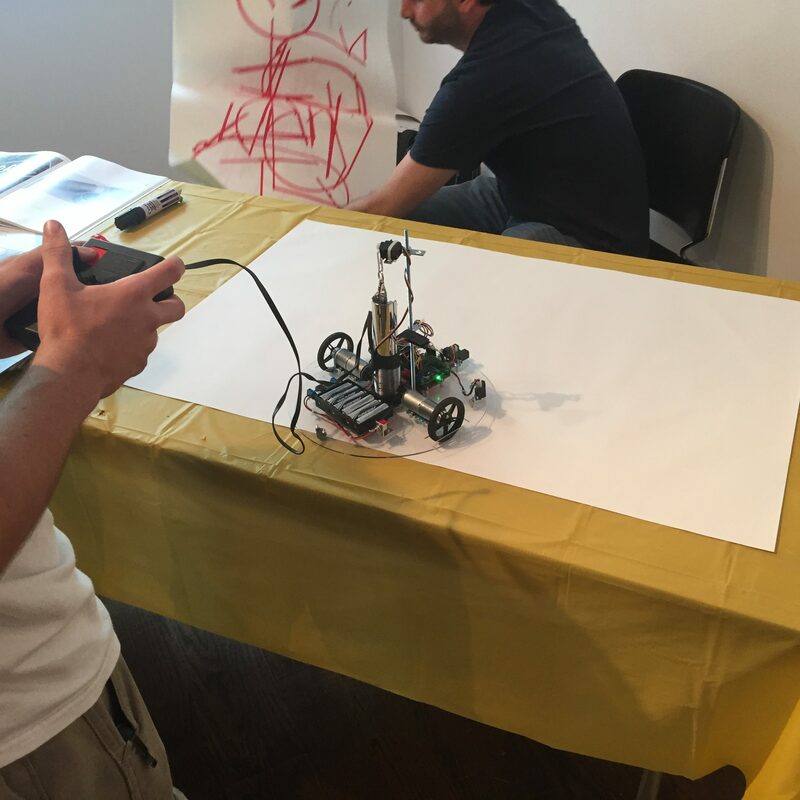 I spoke to a couple of the folks who mentor kids with these Robotics competitions. This is something I’m interested in doing in the future. I also had a nice talk with a man who has designed and built his own take on a Rostock delta-style 3D printer. His version is the Woodstock (see below), and the design is available on Thingivese. While talking he told me of a local 3D Printing interest group, which I’m looking forward to joining. 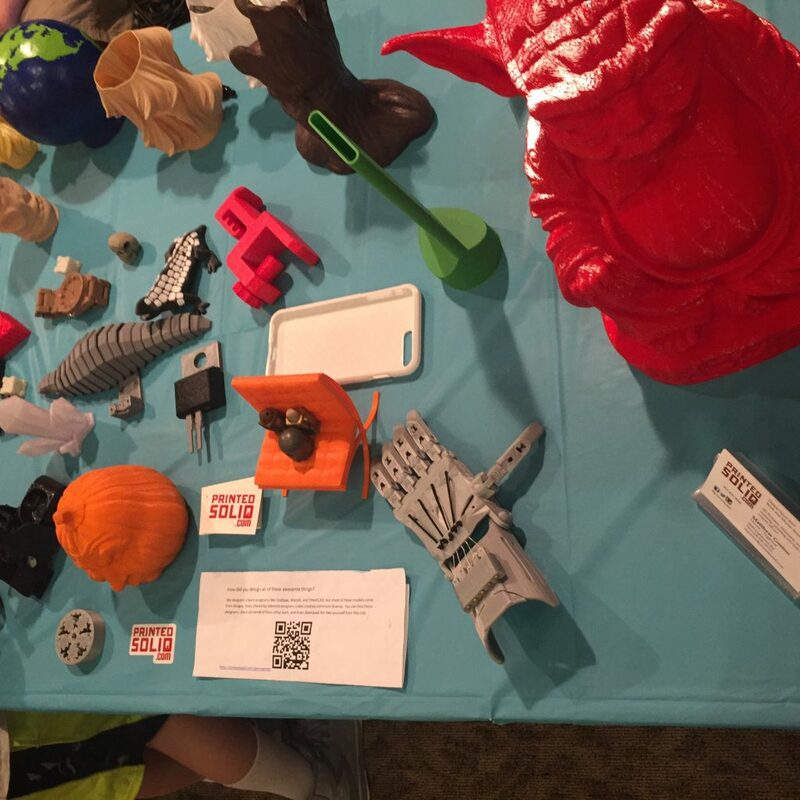 Even better, they meet at a brick-and-mortar, local 3D Printing business. Here’s one of the exhibit tables for that business, PrintedSolid.com. I’m looking forward to purchasing filament locally, as well as meeting other folks who have printers in the area. And even a maker of beer! Yes there were samples, and yes it was delicious. This is on my (rather lengthy) to-do list. I have the equipment, I just haven’t made the time. All in all, it was a great event, and I’m already looking forward to next year. It all started with the blogs. 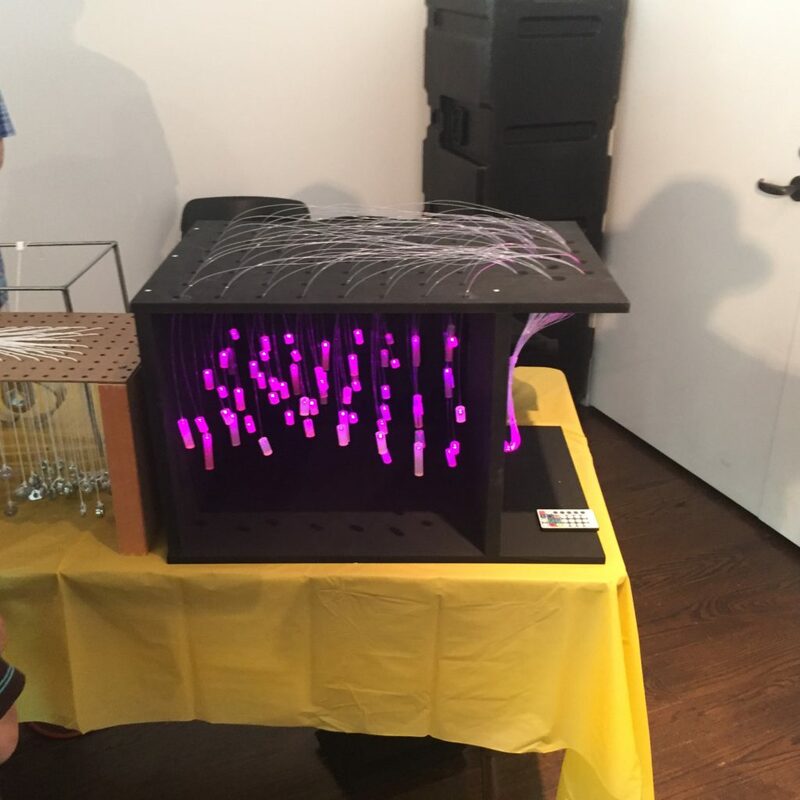 Back when 3D printing first arrived in my awareness, it arrived through blogs. Soon I had found and subscribed to several; I especially recall pouring through back posts on Nophead’s blog and Ed Nisley’s blog (still a daily read). 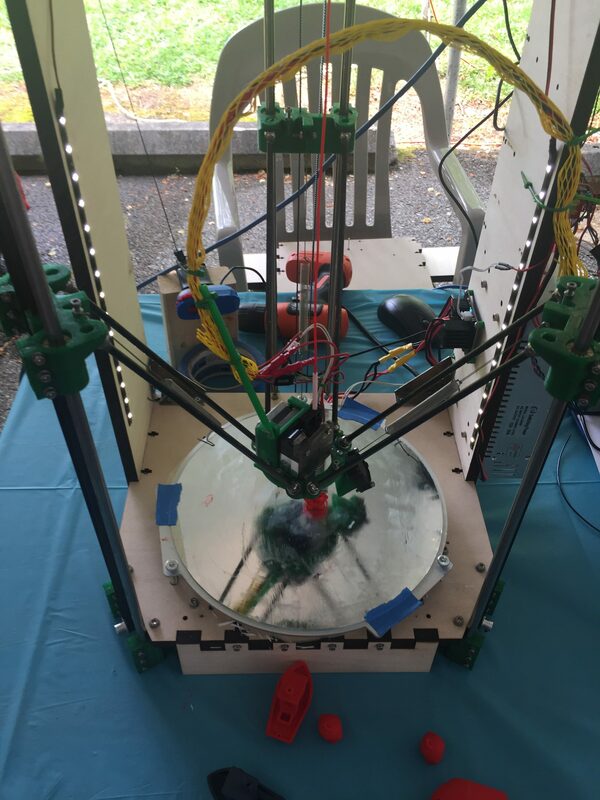 I loved the idea of a RepRap, a printer designed to print copies of itself. For a long time, I couldn’t justify the expense or the time investment. But I watched, and daydreamed. About a year ago, I visited a Microcenter about an hour from home, and watched a 3d Printer (a very nice, pricey Lulzbot Taz 6 I think) printing, in person, for the first time. It was mesmerizing, and I started to think seriously about getting one. 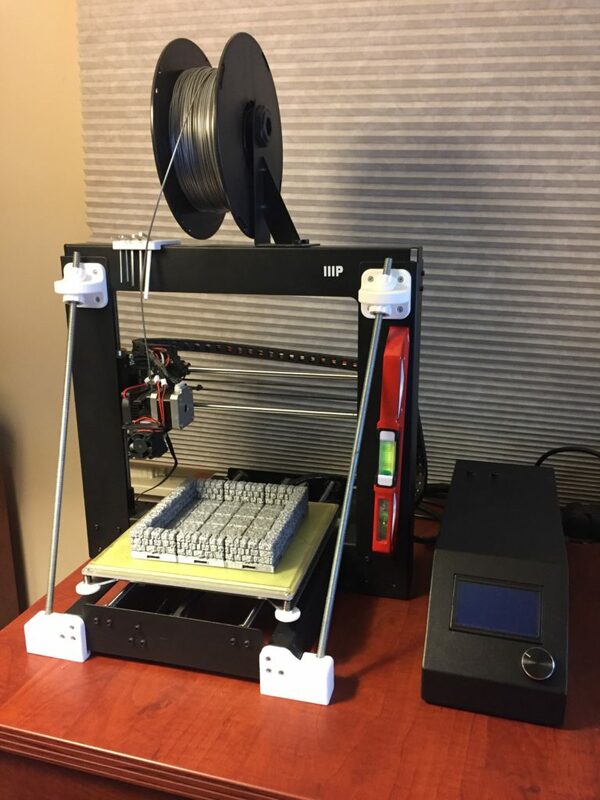 I’d seen some good writeups on the Monoprice Maker Select, a rebranded Wanhao Duplicator i3, as a solid, entry level printer, for someone who doesn’t mind having to (or who wants to) spend some time tweaking, experimenting, and printing upgrades. On June 14 last year, it was $384.99 on Amazon. Checking CamelCamelCamel, I saw that the price had fluctuated some, and had recently been under $350, so I set a price watch and prepared to wait. The very next day, I got an alert that the price had dropped to $288.63, and I jumped on it, cashing in a bunch of gift cards I’d been sitting on for the purpose (which covered about half). Glad I did, too, as the price shot up again the next day. Don’t know if it was a glitch or a test, but Amazon sent me the printer, and so it began. The Maker Select, like the i3 it is based on, is a popular printer for upgrading, and there are plenty of resources. One of the biggest is the i3 page at 3printerwiki.info, and I studied it while planning my purchase. When I ordered the printer, I ordered a whole new build surface with it: a PEI build surface and 3M 468MP adhesive to mount it with (following these instructions from reprap.org), a sheet of Borosilicate glass to mount it on, and silicone heat transfer pads with which to affix it to the heated build plate (following these instruction from 3dprinterwiki.info, though I ended up using 2 pads cut to completely fill the space between with build plate and the glass). While many folks swear by painter’s tape or Aquanet hairspray to ensure proper adhesion of the print to the print surface, PEI is much better solution. Its unique properties make it hold on to a print when hot, and release it when cool – perfect for a heated build plate. Just give it a wipe with isopropyl alcohol to clean it before each print (I like the 91% stuff), and it just works. Following lots of good advice on the internet (no, really! ), my first print was a set of leveling thumbwheels to replace the stock wingnuts. They are still on my printer. Looking for something else easy and useful to print, I added an allen wrench holder to keep track of the set of little wrenches that come with the printer. I spent some time messing with various leveling feet, but never got anything I really liked, and dropped it. Eventually, I printed an added the mother of all Wi3/MMS mods, the Z Brace mod, which added a ton of rigidity to the whole setup, and greatly reduced the amount of bed leveling needed between prints. Everyone who was put this mod on their printer will tell you to do the same, and they are all correct. A couple of months ago, I started noticing an issue. The glass plate started to lift off the build plate in one corner – a sure sign that the heated build plate was flexing. Of course this is a risk with the standard four-corner leveling method used on so many printers. A plane is defined by 3 points, so if you constrain 4 points you may have distortion. I ended up adding binder clips for a while to hold the glass to the build plate, but they were unsightly and could interfere with the print head on large prints. I could see the Y-axis carriage was flexing, so I looked for a replacement. The one I found on Amazon for the WanhaoI3/MMS was sold out, so I contacted the manufacturer; turns out they had pulled it while they redesigned the hole spacing to better fit the I3. The new version is now available, and I installed it a week ago. So far I’m very happy with it, and the binder clips are gone. My bed leveling has become even more stable. While I was upgrading the Y-axis carriage, I took the opportunity to install the Micro Swiss MK10 all-metal hotend so that I can try printing some PETG or Ninjaflex in the future – materials that need higher printing temps that could damage the stock hot end. It reduces the nozzle size from the stock 0.5mm to 0.4mm, which may allow slightly more detailed prints, but the jury is still out on that. So that’s where it stands today, as shown below. 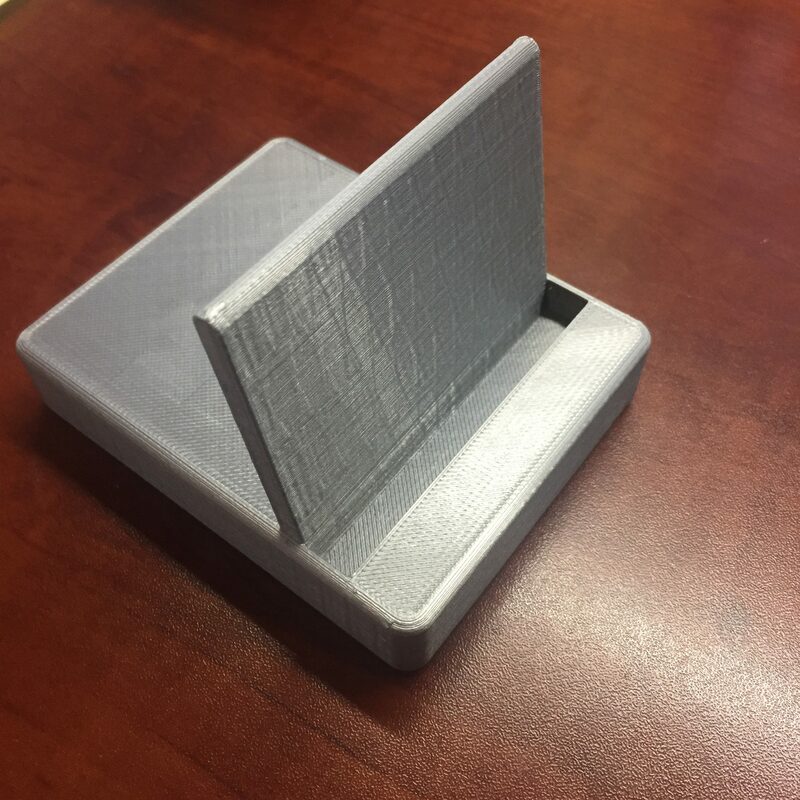 Sitting on the build plate is a dice rolling tray made using printable terrain. There’s 9 tiles there, held together using printable clips, and it’s one of the larger things I’ve printed to date. But I’m not done. Next up is the Diiicooler mod for better bridging performance; I just got the new fan from Amazon, so it’s time to print the shroud and install the upgrade. After that? I’m going to try to come up with an enclosure for better thermal management, so I can get into printing with ABS. This enclosure made from an $8 IKEA end table is pretty slick. I recently decided to replace my old Ford Ranger, which was getting long in the tooth. Working from home, I only drive about an hour a week, so a new vehicle was out. I dislike large trucks, and used small trucks with decent milage are hard to find lately (owing to a lack of new small truck models being offered in the U.S. in recent years). So, I decided to look at cars, and wanting some degree of cargo capacity, I started looking at wagons. I eventually found a 2009 VW Passat Wagon, which is a great little car. 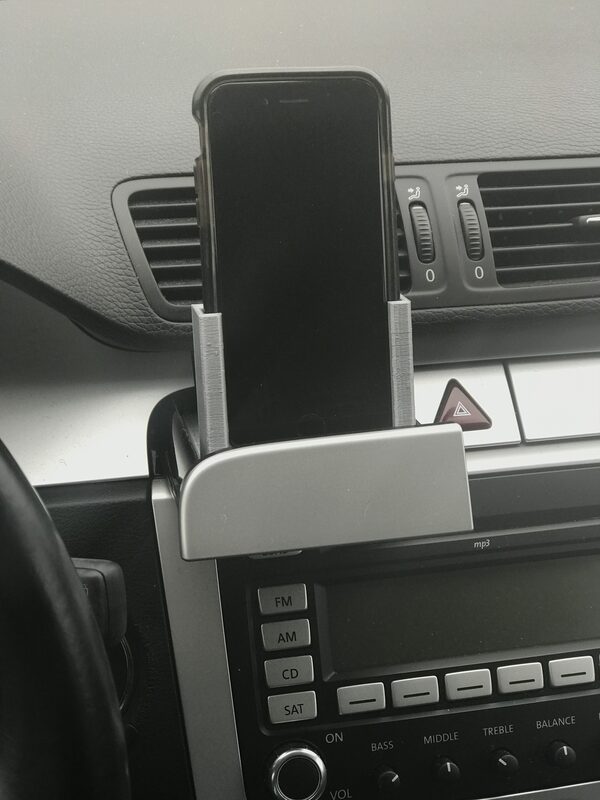 However, it’s too old to feature Car Play, and there’s no great place to put a phone holder for using Waze or another turn-by-turn nav app. 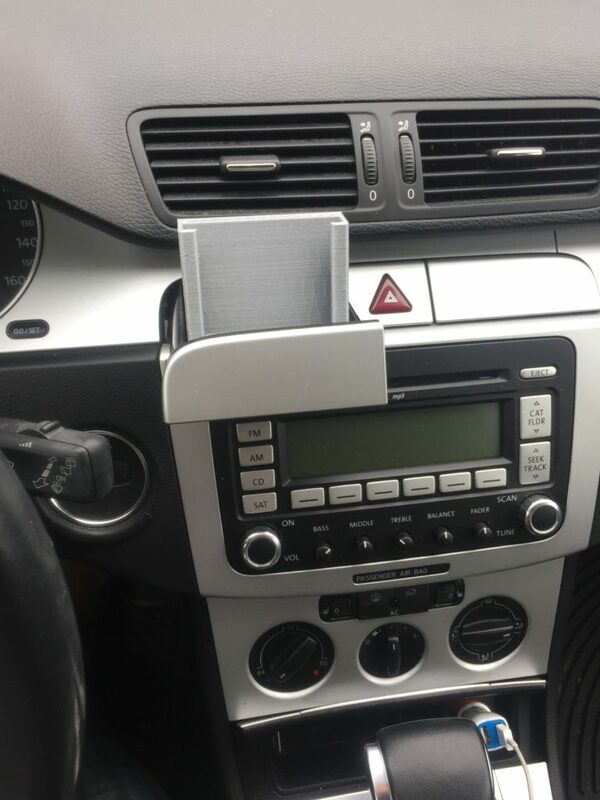 You can rest an iPhone 6 in there, but it is not secure. In the best case it will slide forward, angling the screen up towards the roof, and in the worst case it will become a missile, in the case of a sudden swerve or stop. Widen the base just slightly for a friction fit in the drawer. The drawer is lined with some sort of felt, so it should be possible to get a snug fit that isn’t likely to let go in case of a quick stop. Loosen the arms a fraction. The current model grabs a bit when sliding the phone out. I’m going to order a right angle Lightning cable and right-angle 1/8″ stereo cable, and try to modify the base to allow them to be semi-permanently installed into the base. 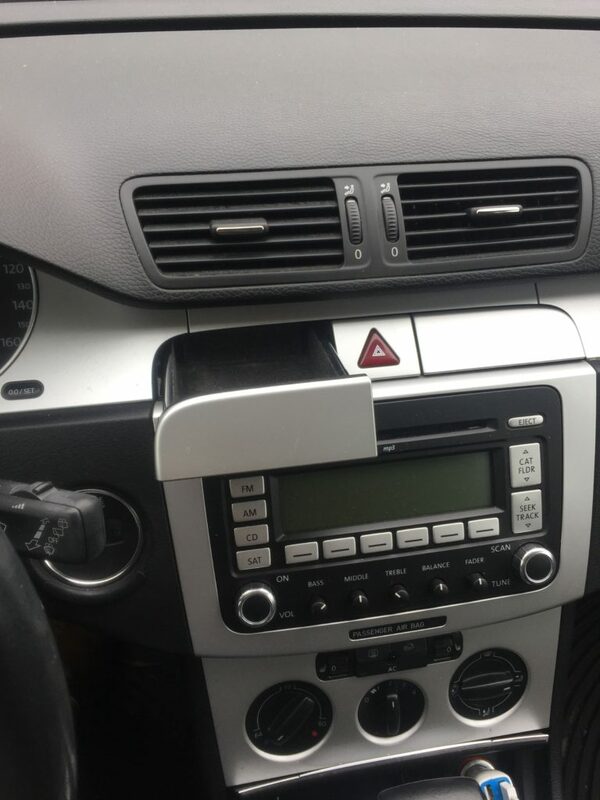 The goal is to drop the phone in and have both power and audio connection to the car. 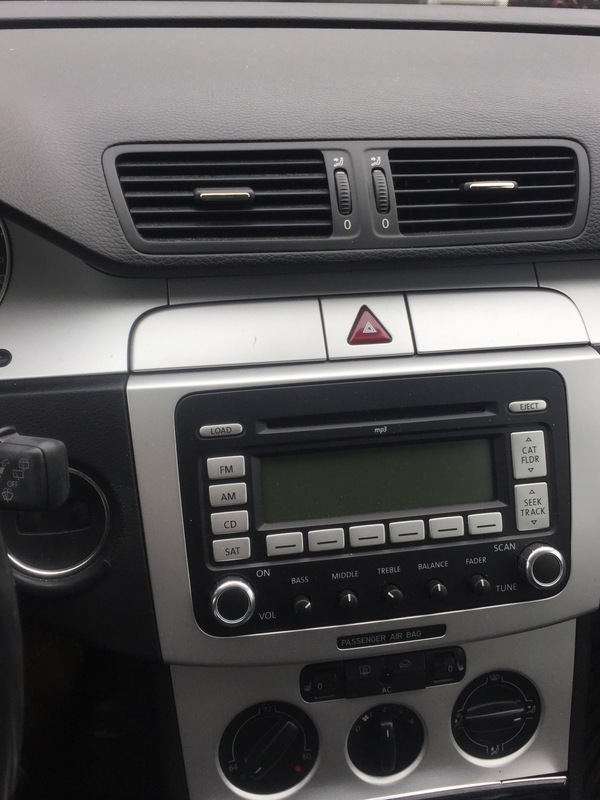 The cables will have to hang down over the console for now, but I’m not ruling out routing them behind the dash in future. I’ll post the new version when it happens, once I track down the cables I want.